Camy here! I know Sarah went to see The Hunger Games with her daughter on opening night, but how about any of you? Who’s seen the movie? Read the books? I admit I only read the books when I heard all the hype about it, and I really like the first book. The social commentary was so fascinating. But I’m in the middle of Catching Fire and must admit I’m not as enthralled. I’ll probably get slammed for saying this, but I don’t really see what’s so heroic about Gale that she loves him so much. He actually seems a bit selfish much of the time. As girls, we shouldn’t just fall in love with any guy who seems halfway interested. Even if he’s madly in love with you, look at his heart. Is he heroic? Does he show the kinds of qualities God would admire? And I’m not talking piety. That’s totally different from heroism. He should put God first and you second. He shouldn’t be a doormat, instead he should help you do the right thing even if it’s painful for him and for you. I think that’s heroism. There are some guys who are confident rebels who are also heroic. But there are also lots of rebels who are selfish. There are saints who are heroic, but there are also some saints who are not heroic. They can be full of themselves, or care more about what people think that what God thinks, or they can be downright selfish. So far, in the little I’ve seen of Gale on the page, he’s just not heroic to me. He’s a rebel, which can be attractive, but he’s a bit selfish. Maybe because one of the first things I see him doing in the book is talking to Katniss about running off together, leaving their families behind. Yes, his life is hard, and it’s tough for him to see Katniss and Peeta together, but he never told her he loved her, and it wasn’t his name picked at the Reaping, was it? He doesn't know anything about what they had to do and endure. So do you agree or disagree with me? Camy Tang writes romance with a kick of wasabi. 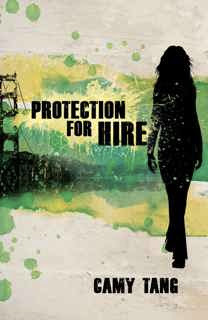 Out now is the first book in her new series, Protection for Hire, which is like Stephanie Plum meets The Joy Luck Club. She is a staff worker for her church youth group, and leads one of the worship teams for Sunday service. 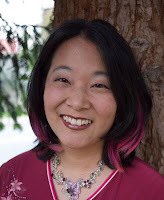 On her blog, she ponders frivolous things like knitting, running, dogs, and Asiana. Visit her website to sign up for her quarterly newsletter. He shouldn’t be a doormat, instead he should help you do the right thing even if it’s painful for him and for you. I think that’s heroism. I agree! I'm not a huge fan of the book so far, either. I never thought about it, but if the guy can't even be loyal to his family(Gale is willing to leave them behind) then he won't be able to be loyal to you. I liked all 3 books, they are not very uplifting though. Very depressing. There is something about the survival aspects of the books that kept me reading. The ultimate triumph over the powers-that-be. Maybe that was the draw for me. I enjoyed the movie also. I thought it stayed very true to the book and the acting was done very well. Thanks Julie! I'm going to stick with the books even though I'm not thrilled with the story in the middle of book 2, only because I really want to know how everything ends! I guess that's the mark of a good book, when it keeps you reading to find out what happens! Safe and Sound wasn't in it! :O Second song in the credits? Really? Sigh. Aww, I'm not "team" peeta or gale -- I love them both -- but I get what he's saying when he wants to run away. he just wants to forget and oh I don't know, I do admire him. the saddest part in the movie? there were two. *sighs* when peeta and katniss kissed and gale watched it on the screen... (perfect time for music to slow the too-fast movie down, but again, nopee) and at the end, when prim sits atop his shoulders and watches peeta and katniss hold hands. 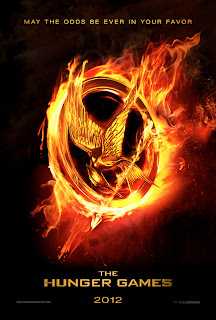 I, too, started reading The Hunger Games after I heard about how good it was. I guess I'm between Team Gale and Team Peeta. They both have good qualities to be admired. Nice post by the way. I need to read the third book, and so far I completely agree. At first, Gale seemed like the perfect guy, what with the talk of running off together. Then later on, when Peetah was talking about how much he loved Katniss, my heart just melted. I'm a softy, I admit, I get it from my dad :) I'm only 13, but I've found if you seek human companion first, you usually end up disappointed. I've really trying hard to putting God first, because no matter what, He'll never fail me, no matter how many mistakes I make. He loves me, and if I put Him first, He'll provide me with everything I need. But that selfishness is something I think that Katniss comes to recognise, and hence why she choses Peeta. Gale's anger and lack of heroism is contrasted against Peeta's ability to be the moral centre, someone who Katniss, in her own words I think, can always count on to be chasing after the right thing. I think Suzanne Collins is saying something powerful about Peeta's capacity for love and forgiveness and the way it brings life and is what Katniss needs to heal at the end, in a way Gale's selfish nature can't. The entire series is really good, although I haven't finished the third book. The second book is really good and has just as much action as the first one. Gale is kind of a heroic character in his own way when it comes to katniss and so is Peeta. Disclaimer: I only just started Mockingjay. Madie and Anonymous, I like how Peeta is very self-sacrificing. My only problem with him is that before the Games, he never even spoke to her. How can you really love someone if you've never even spoken to them? That kind of borders on stalkishness, although Peeta is not a stalker. Here's something that I've noticed a lot--we think we love someone but it's only our perception of them. We don't have a true perception of someone unless we get to know them, in good situations and in bad situations. Peeta "loved" Katniss before the Games but I don't think that was really love. That's my only problem with his declaration of love to Katniss, because it gives the wrong impression to women that people can "love' someone from afar. No, I don't think that's really love. Charlee, I'm enjoying Mockingjay so far, although I've noticed that in all 3 books, the author takes a while to get the story started. Antavia, yes, I enjoyed the action in the second book a lot! Thank you for the compliment, but I'm quite a bit older than 13. :) I'm closer to the age of a mother of a 13 year old.